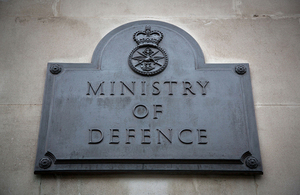 The Ministry of Defence has secured an improved contract with AWE Management Limited (AWEML) for the management and operation of the Atomic Weapons Establishment sites at Aldermaston, Burghfield and Blacknest. The signing follows a review of the contract, ensuring best value for money for the taxpayer, as well as driving our commercial partners to perform better. This contract supports the weapons for our nuclear deterrent that keeps us safe while delivering better value for money. The updated contract promotes greater risk sharing between the MOD and AWEML, with performance incentives as well as penalties if targets are not met. The core commitment of the contract with AWEML remains to provide and maintain the nuclear warhead stockpile for the UK’s deterrent, efficiently and effectively, while ensuring full safety and security. AWE Management Limited is a joint venture between Lockheed Martin Inc., Jacobs Inc and Serco formed in 1998 to manage AWE plc on behalf of the MOD. The contract will run through to 2025 and is subject to regular pricing reviews.